With 22 years of combined real estate experience, Paula and Joshua are equipped to help you with all of your real estate needs. Paula and Joshua are a mother-son team, working with buyers and sellers in Otero County. 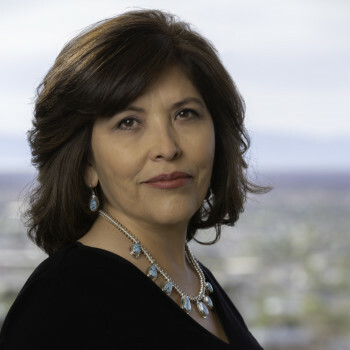 Paula was born and raised in Alamogordo and enlisted in the Air Force upon graduating high school. While stationed in Zaragoza, Spain she met, and married, her husband who was also serving in the military. After 22 years of service she and her husband retired from the military and are thankful for the opportunity to have served this great country. Following retirement, Paula and her family returned to Alamogordo and are glad to call this community their home. With Paula’s military background, she finds that she works well with her military brothers and sisters. Whether transferring to Holloman, or from Holloman AFB, she understands the since of urgency that military members face. The Osborne Team is here to help ease the stress and demands of re-locating. Aside from working strongly with military personnel, we also specialize in helping first time home buyers, investors, retirees, and those wanting to upsize/downsize. If New Construction is what you are looking for, we can do that too. We welcome the opportunity to help you with all of your real estate needs. Call us today!